What do I get from the news? I get the latest H1N1 information, or lack thereof. I get misleading headlines and celebrity gossip. I get mostly bad news: murder, gangs, war, a failed economy. Letters to the editor are a revelation of how miserably men die every day for the "lack of what is found there", in the news. I was more heartened by my reading of In Flanders' Fields than by the article of war in Afghanistan. Perhaps that's only because I teach English. English professors and poets are the only ones who give a damn about poetry any more. It's "despised," as William Carlos Williams says. 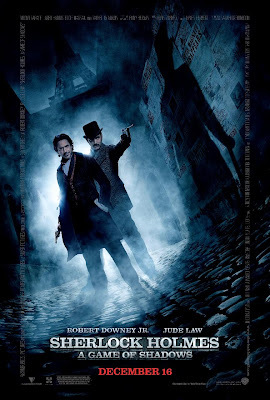 But "my heart rouses, thinking to bring you news of something that concerns you, and concerns many men." I think it is important to pause for reflection on Remembrance Day: we are encouraged to take two minutes of reflective silence to do so. What will we reflect upon? Some will reflect upon the loss of loved ones, some on the glory of fighting for one's country, others will reflect upon the hope of peace. 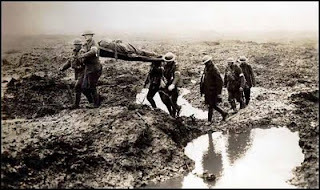 While the Latin lines were well-known at the time of the Great War, few today are likely to see the ironic twist of Owen's final line, which means, "It is sweet and fitting to die for one's country." The title of this poem, translated from Latin, would simply read, "It is Sweet and Fitting," which contrasts immediately with the opening lines detailing the horror of battle. Perhaps, as a variant reflection this Remembrance Day, you would consider reflecting on Wilfred Owen's thoughts as an alternative to the pastoral poppies. Save the slide and make it your desktop today, and pause for reflection, not once, but several times. Perhaps you find this suggestion to depart from Flanders Fields misguided, but if you wish to continue to reflect upon the words of John McCrae, I would ask that you leave your poppy pictures behind, and consider this one for your reflection instead, and image of Canadian soldiers at Flander's Fields. Longfellow utilizes carefully chosen words which all convey images of death, of the passing of life. 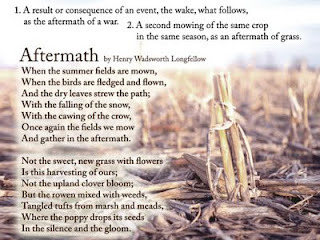 While we consider "aftermath" immediately as a word associated with calamity or death, it was also understood in Longfellow's day as the second cutting after the initial harvest. The image of cut wheat is a powerful one, of new life cut down before it has time to fully grow, a metaphor for the youth sent to the fields of battle. 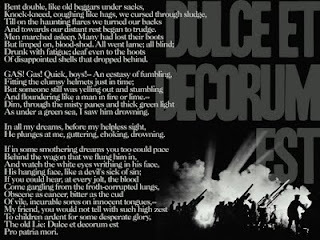 Students will often cite McCrae's poem to explain why they see the poppy dropping its seeds as an image of death, not recognizing that Longfellow wrote his poem in the nineteenth century, years before In Flanders' Fields. But one has to wonder if McCrae wasn't pondering Longfellow's words, which are simultaneously about a field of harvest, and a field of battle. What is certain, is that McCrae was not picturing a verdant landscape filled with red flowers, but a once-pastoral scene now turned to horror, the image of the Canadian soldiers standing in Flander's Fields. 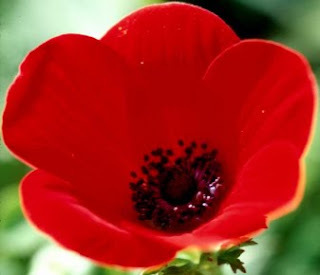 The poppies McCrae suggests are likely the ones which drop their seeds "in the silence and the gloom." We need the poetry of all these writers to properly reflect upon the nature of war. One perspective will not do, or we fail in our remembrance. If we remember only the glory of war, we fail the memory of Wilfred Owen. If we are dismissive of those who fought for the freedom to "wage peace," then we fail the memory of John McCrae, who asked us to "take up our quarrel with the foe." I suppose so long as we see the foe as another human being, we are doomed to honor this day with front pages devoted to the immediate conflict. 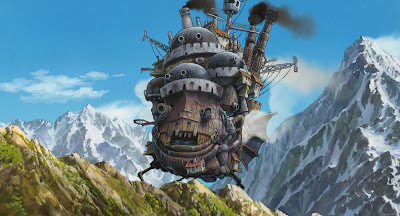 My hope is that we might some day only have the past to reflect upon, to remember. Thank you very much for this, Mike. Very well written and presented. Your choice of poems was exceptionally relevant and well considered.